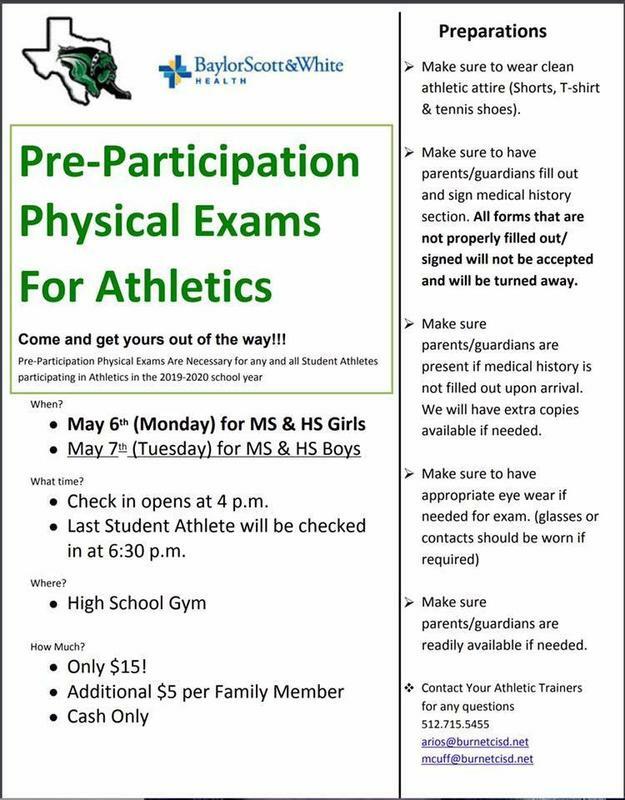 Pre-Participation physical exams are necessary for all athletes participating in athletics for the 2019-2020 school year. Two dates are available in May to get the exams taken care of! 4 - 6:30 p.m., BHS Gym. $15 cash only, additional $5 per family member. See flyer for complete details. Click on the link below to download the physical form.